"I noticed that the ring-necked pheasant hasn't been reported for a while in Prospect. I went looking for it yesterday and found it near the dead beech tree by the lower pool. It was being attacked by a red-tail. The hawk made a try at the pheasant just as I arrived and then flew to a perch in a tree on the west side of the lower pool. It then returned and made a couple more efforts from a perch directly above the pheasant on a downed tree. I have to admit my sympathies were entirely with the pheasant!!! After a couple of sorties, the hawk flew off and the pheasant resumed munching on some plant stalks. After about ten minutes another red-tail perched in a tree nearby. It either didn't see the pheasant or didn't need a meal because it flew off after a few minutes. By this time, it was getting dark and another birder (first name Julio) had come by and got some shots of the pheasant and the 2d red-tail on his camera. The pheasant seemed to be settling in for the night so we headed home. Do you think a re-tail could take a bird as large as a pheasant? By the way, while coming into the park that afternoon, I saw a red-tail perched on top of the arch in Grand Army Plaza. It then flew into the trees behind the Slocum monument and caught a meal. That was the first time I'd seen a red-tail on the arch. [ ... ] - Doug Schoppert"
FYI - Big Mama regularly perches on the top of the monument. She usually blends in well with the design...her favorite spot is on the head of an eagle. I took a short walk up to Payne Hill to check on Big Mama and Split-tail's nest. 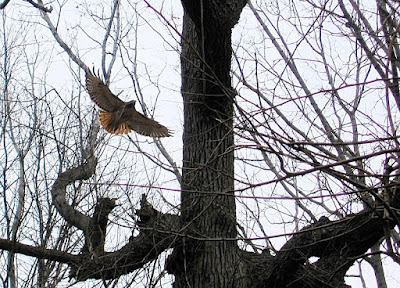 As I was approaching the base of the hill one of the hawks ascended out of the woods and began to circle above me. It looked like Big Mama. I've been trying to come up with a simple way to identify the four resident Red-tailed Hawks. I thought that if I could find differences in their belly bands it might make it easy. The hawk I was looking at had a fairly dark, bold belly band. It was narrower in the center and flaired out as it approached the bird's axillaries. The bottom edge of the band had a pronounced concave appearence. There was a thick, dark line where the band met the axillaries. I will try to get photographs of all the red-taileds undersides in flight. There was no work being done on the nest so I took a stroll in the snow up to the Vale of Cashmere. Somebody has been putting mixed seeds on the tops of two concrete pillars at the edge of the pond. Black-capped Chickadee, Tufted Titmouse, White-breasted Nuthatch, Northern Cardinal, Fox Sparrow, Song Sparrow and White-throated Sparrow were fattening up on the easy meal. Also in the vicinity were Red-bellied and Downy Woodpecker. I expect to be seeing a lot more activity at the two Red-tailed Hawk nests in coming weeks. I'll keep you posted. Shane and I wanted to see how many owls species we could locate in one day. We would concentrate our efforts north of Manhattan in the Bronx and three other locations in Westchester County. There are some areas within the five boroughs of NYC where, historically, owls have been known to reside during the winter months. In an effort to protect the birds I won't reveal exact locations, so please don't ask. We tried to arrive at our first destination by first light. New York's unpredictable traffic had other ideas. Despite having to endure delays caused by two accidents we still managed to arrive pretty early. Finding owl white wash on the snow was impossible so we looked for any on tree branches or holes in the white powder caused by ejected pellets. Within the first five minutes of looking we found neither but I got lucky and managed to locate a Long-eared Owl. It was still pretty dark and I thought that perhaps he had just settled down to sleep after a night of hunting. He had assumed a stretched out, camouflage posture to try and blend in with the branches. His eyes were opened and we didn't want to bother him so we left after about a minute to resume our search. We spoke in whispers but our boots announced our presence as they squeaked against the dry, corn starch snow. A Great Horned Owl took off flying through the woods in front of us...just what we were trying to avoid. It had only been about fifteen minutes since we left the car; two owls, not bad. About an hour later we began checking the branches of a large Norway Spruce. I was drawn to the tree first by it's large size and dense cover but when we got closer I noticed something curious beneath its large, drooping boughs. The snow was covered with tiny mouse tracks looping and turning all over the place. As we followed the tracks it seemed like just one rodent made all the marks. Was he fleeing a predator? Had he been gnawing on espresso beans? It was very strange. At our next location we quickly found a Northern Saw-whet Owl. The branches below his roost were covered with white wash. He must have been using that particular roost for a long time. This time we were stealthy enough that we didn't wake the little guy. I took a couple of quick photos then we left him to his dreams. Orchard Beach is on a peninsula that faces east, towards the Long Island Sound. Around the north end of the peninsula is a small, protected cove. Taking a break from owls we scanned the numerous waterfowl in that area. We estimated that there were about five thousand scaup present. Mixed in among the black and white ducks were Canada Goose, American Wigeon, American Black Duck, Mallard, Canvasback, a single Redhead, Bufflehead, Common Goldeneye, Red-breasted Merganser and Ruddy Duck. I never realized that Pelham Bay Park had such a great number and variety of over wintering waterfowl. It was still pretty early so Shane thought we should take a drive to the Edith G. Read Sanctuary in Rye. There had been a report of a Tufted Duck and some longspurs a few days ago, plus it was somewhat on our way to our final destination. The lake at the sanctuary was frozen and there was no sign of either of the two species. We scanned the sound for a little while but, with blinding sun in our faces and reflecting of the water, finding anything unusual was difficult. The Marshlands Conservancy isn't too far from the sanctuary so we made a brief detour. Sandra Marraffino, who we met at the sanctuary, recommended we check out their feeders as Wild Turkeys frequently fed on the spillage. Unfortunately, the only turkey we saw was in my sandwich so we just ended up eating our lunch before moving on to Croton Point Park. As we pulled into the visitor's center at Croton Shane excitedly pointed out something over the grasslands. A Rough-legged Hawk was hovering in place as it scanned the ground for prey. A Northern Harrier passed below him. Farther back on the hill a Red-tailed Hawk was also hunting. Two more harriers began following the contour of the hillside in search of prey. A young Bald Eagle flew by above the ice behind us. We were in bird-of-prey heaven. It has been a good winter for Short-eared Owls at croton so we just parked the car and waited for one to appear. Within a relatively short period of time one flew up from his roost in the grass and perched on top of a marker. Shane set-up his scope for a closer look. There were a few other birders in the area. The owl seemed to ignore the human presence as he pivotted his head from side to side looking for food in the dried, wind blown grass. I took a few photos through Shane's scope. The last time I was at Croton Point Park there was no ice on the Hudson. Today Croton Bay was frozen over and the edge of the river looked more like the arctic ocean. A quick scan of the ice found six perched eagles. We ended our day at Croton Point Park feeling like we accomplished our goals. A Barn Owl would have been a nice addition to the other four species but I really can't complain. I was getting stir crazy staying in my apartment. I'm a bit obsessive as it is but when I'm stuck indoors for too long I begin cleaning the house. With nothing left to clean I called Shane and Sean to see if they wanted to join me for a brisk walk through Prospect Park. They seemed interested but live much farther from the park then I do so they passed on "trudging across the tundra". My digital camera is a Canon Powershot S50. It's a very nice point-and-shoot but I've had problems with the battery on really cold days. Today I stuck it in my coat pocket with a hand warmer and that did the trick. There wasn't much bird life around the park so I ended up taking some shots of the frigid scenery. Some people have asked me how I shoot close-ups with such a small camera. It was strictly coincidental but the camera lens fits perfectly into the eyepiece of my Leica binoculars. The photos aren't always great quality, but it works. The wind was whipping across the Long Meadow occasionally creating Snow Devils. Kids never seem to feel the cold and dozens were lined up with their sleds near the Sparrow Bowl. By the time I got into the park snowshoers and cross-country skiers had broken a few trails along the meadow and into the Ravine. I wanted to check on the hawks and had to cut a fresh trail up Payne Hill. It was exhausting as in spots the snow was deeper than I expected. The roadways were plowed and most people were staying on the outskirts of the park. Walking up and over Payne Hill and into the Midwood worked up a sweat but it was worth it. The woods had fresh, unbroken snow and was devoid of human activities. The Midwood is on the leeward side of the ridge that runs up the center of the park. It was strangely warm and quiet. As I walked the silent forest I looked for animal tracks in the snow. Tiny, paired footprints zigzagged through the clearings and disappeared under logs; white-footed mouse, chipmunk? They were too small to be a squirrel. At the north end of the Midwood, near a patch of dried goldenrod was an odd pattern in the snow. What reminded me of a miniature snow angel appeared to be the pattern left by a bird's wings. Were the residence of the woods making bird snow angels? On Prospect Lake there is now only one opening in the ice. I had the low, winter sun directly in my face so I couldn't tell what species were sharing the open water. Peter's feeding station on Breeze Hill was buzzing with activity. Chickadees, titmice and nuthatches were flying back and forth across the road non-stop. They were probably caching the seeds somewhere along the Lullwater. The species at the feeder were mostly common park birds but there were four Fox Sparrows foraging below the feeder. I noticed that the chubby, rusty red birds were sinking in the deep snow as they hopped around at the edge of the woods. Above me were a pair of Red-tailed Hawks kiting against the strong winds. On the opposite end of Breeze Hill I located the flock of robins that I encountered on Friday. Close to two hundred robins were feeding on the seeds in a stand of Pagoda trees above the Cleft Ridge Span. As I headed back towards the Midwood and out of the park I spotted one of the adult Red-tailed Hawks perched near the Nature Center. He watched intently something on the ground below. It must be difficult for the park rodents to remain camouflaged against a white background. The weather service said this morning the wind-chill in the city was -4 degrees and they advised people to stay indoors. Wimps. I needed to get my daily out-of-doors fix so I bundled up and headed up to Prospect Park. I haven't seen Big Mama and Split-tail together for almost three weeks and the unconfirmed report of a dead hawk was still bothering me. On Payne Hill the swaying trees creaked and popped like the wooden hull and taut rigging of a sailing ship at sea. The hawk nest near the top of the tuliptree seems to be weathering the elements without a problem. I looped around Sullivan Hill, Battle Pass and Payne Hill but didn't locate the pair of Red-tailed Hawks. As I approached the stairway down to the Ravine I heard the chattering of goldfinches. A flock of about twenty-five birds were poking their bills into the dried, dangling fruit of a Sweetgum Tree probing for any remaining seeds. The pools were completely frozen and the waterfowl has relocated. At the Nethermead Arches a large flock of robins (for Prospect Park in the winter, anyway) filled the trees above the stream. The running water attracted the birds and they nervously cued up for drinking and bathing rights. A short distance down the road another large flock was feeding on the translucent, green seed pods in a pagoda tree. Across the road, on Quaker Ridge, a flock of White-throated Sparrows foraged for seeds and insects in the leaf litter. Four large Fox Sparrows stood out in the flock. Throughout the morning I scanned the woods and trees at the edges of the roads for the park's four adult Red-tailed Hawks. I couldn't find them and considered that they might be hunting in the Brooklyn Botanic Gardens or Green-wood Cemetery. The dramatic temperature drop this week has quickly frozen the lake. There are two small opening, one at the edge of the lake near Vanderbilt Road, and another in the center of Prospect Lake. The abundant Northern Shoveler flock has been reduced to just a handful of individuals. I wonder were they go, as they inevitably return when the lake begins to thaw. I searched the trees around the lake for hawks as they tend to pick-off unsuspecting ducks walking on the ice. Nothing. As I walked through the Lullwater I flushed up a juvenile Sharp-shinned Hawk that was sitting on the ground at the edge of the phragmites. On my return loop passed Quaker Ridge I spotted one of the adult Red-tailed Hawks. He was perched in virtually the same spot above the bridle path that I located him last Sunday. I watched him for a few minutes then he took off through the trees and into the Quaker Cemetery. I was beginning to get cold but decided to check the Payne Hill nest one more time. The area was quiet but as I exited the woods onto the Long Meadow I saw Big Mama flying in from the south. She circled the treetops near her nest and let out a raspy "keeeer" call. She dropped out of sight near Battle Pass and I continued walking across the frozen meadow. As I approached the Picnic House path a large shadow slid along the ground to my left. It was Big Mama overhead and she was flying towards the Sparrow Bowl. She perched in a large oak tree with her back to the sun. A moment later Split-tail flew out of the woods on Payne Hill and joined her in the tree. They sat silently facing each other against a turquoise sky with arctic wind rustling their feathers. Shane asked Sean and I if we were interested in brutalizing ourselves today in the name of a winter nature experience. We were both suckered into it. I had to work in the morning so Sean would bird the coast with him in the morning and then he'd pick me up in the afternoon. The plan was to bird Floyd Bennett Field, Riis Park and Fort Tilden looking for owls and other winter species. Winter has been kind to us in New York up until today. Arctic gusts blasting in from the north made the wind chill dip below zero for most of the day. The good news was that the sky was clear. The bad news was that we didn't find any owls. At Floyd Bennett Field we located a flock of around thirty Horned Larks. Horned Larks, with their cheerful, yellow faces are one of my favorite winter land birds. Using the car as a blind Sean was able to take some great photographs. We're thinking of making a round of all the owl locations next weekend. I hope it warms up at least a little bit. The view from our kitchen table is pretty mundane. It's a concrete courtyard with patches of weeds occupying jagged cracks, four story brick walls checkerboarded with impersonal rectangular windows and a flat roof line periodically broken by crooked, grey antennas. On the building directly across from us there is one antenna that is taller than the others. The high point is usually taken over by starlings but has been a temporary roost for robins, mourning doves, Blue Jays, mockingbirds and, infrequently, kestrels. I've gotten into the habit of checking the antenna whenever I sit down at the table. This morning I sat down for breakfast, looked out the window then called my wife over. An adult Red-tailed Hawk was perched precariously atop the wobbly antenna. I ran to the other room and grabbed my camera. Just as I returned to the window he bent over, pooped then took off down the slope towards Manhattan. Now there's a fine Sunday morning greeting! It's been a really peculiar month, weather-wise. The temperature has been swinging like a pendulum between 60 degrees on January 1st, blustery arctic days then back into the fifties. I wasn't sure what I would find on my annual winter trip to Croton Point Park with members of the New York City Audubon Society. The trip is ostensible focused on locating over-wintering Bald Eagles but, of course, we look for any other winter bird-life. There hasn't been enough cold weather to form ice on the Hudson River so eagle numbers have been down from previous years. We began our day at the Croton-Harmon train station where we immediately spotted an adult Bald Eagle flying in from the direction of the Croton Reservoir. A quick trip down the road to scan Croton Bay didn't reveal anything out of the ordinary; just the usual Mute Swans, Common Mergansers, Buffleheads and the expected triad of gulls. As we were getting ready to leave I spotted a young eagle near the train trestle plunging into the water like a kingfisher and emerging with a large, unidentified fish. A steep bluff at George's Island, just north of Croton Point Park, is generally where we find eagles roosting in the early morning sun. Today there were none but we did see one first year bird circling the river and an adult near the opposite shore. One unexpected surprise at George's Island Park was a flock of over 150 Canvasbacks close to shore. This was the first time I've seen them here. As we drove into Croton Point Park a Red-tailed Hawk flew down off of the grassland and perched above the road. A group of Northern Harriers were actively hunting over the former landfill. One textbook adult male flew close to our group affording excellent views of this slender, gray and white beauty. Waterfowl numbers and diversity seemed down from previous January trips that I've lead. Flocks of Common Goldeneye were absent with only a single individual observed near George's Island. Common Merganser were not as numerous as I recall from past years. There was one good result from the milder weather, however. We were told that a few Short-eared Owls have been seen regularly on the grasslands. We walked the loop but only found harriers, an assortment of sparrows and some distant eagles. One our way back to the cars from the Croton Bay trail someone pointed out one of the Short-eared Owls perched on a white, PVC marker. Everyone was very pleased with long looks at the resting owl, but it would get even better. Turn around and say "cheese"
After a leisurely lunch at the nature center we decided to wrap it up and call it a day. As we were driving passed the "mound" I spotted one, then two and, finally, a third owl perched on plastic markers. We pulled over and watched the owls take flight and playfully (I think, anyway) interact with each other. After parking the car we started a slow walk up the trail to the top of the hill. The owls were close enough to us that we could hear them vocalizing as their paths intersected. Sometimes it appeared as if they were trying to lock talons as they fluttered around each other. It was the first time I've heard a Short-eared Owl vocalizing and their hoarse, "barking" calls sounded more mammalian than avian. We counted the individuals whenever they were in close proximity and agreed that there were definitely five owls competing for prey. 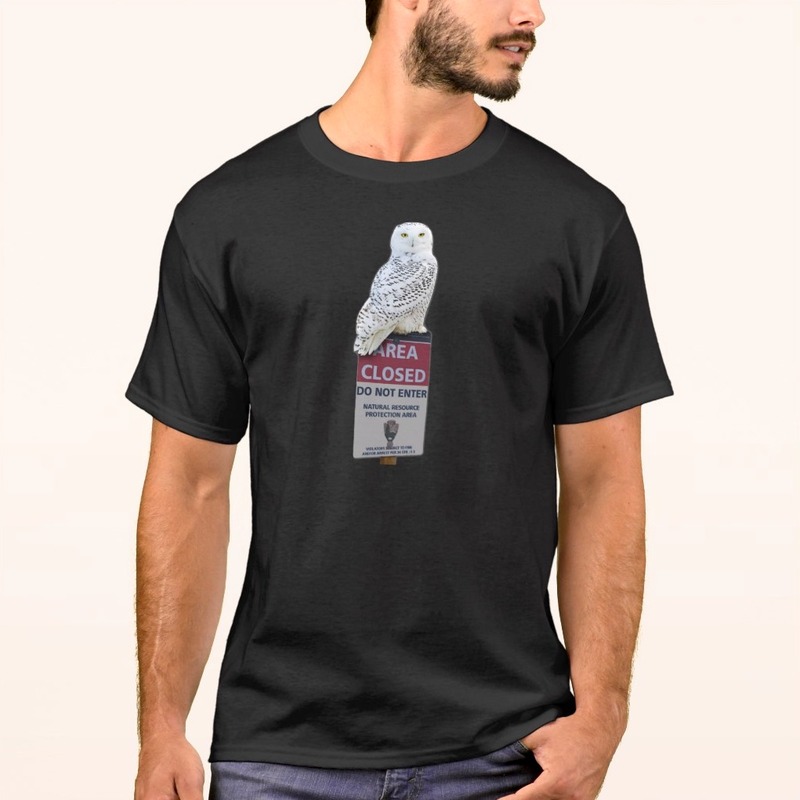 Edith began laughing when she observed one owl pulling his large foot forward and scratching his head as he was flying. Did he actually have an itch or was he just trying to figure out what we were up to? 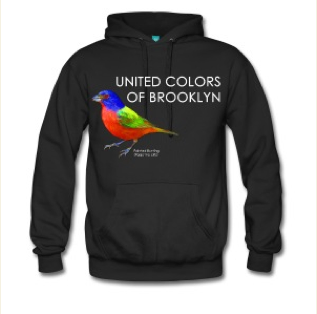 I've received a number of e-mails inquiring about the results of the Brooklyn leg of the CBC. I wasn't the compiler for the Brooklyn region but I thought that it was important enough to track down the data and post them along with some of the highlights for the borough. I acquired a copy of Rick Cech's totals prior to the compiler, Paul Keim, double-checking for any typos. While I have confidence that Rick entered the data into his spreadsheet correctly, keep in mind that this list is not the "official" official list. Also, in the interest of space, I have just included the final species totals and not the area breakdowns. I'll do my best to recount some of the highlights discussed at the count dinner as it was almost a month ago. Also, I do not have the experience to make a simple comparison with previous counts but I figure this is better than nothing. 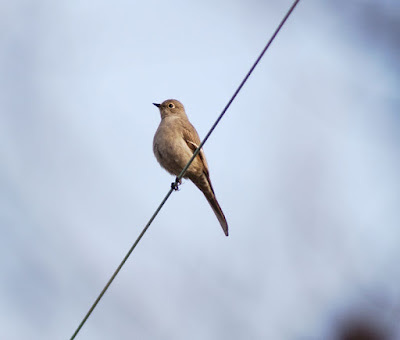 The most unusual observations that stick in my mind were of Ash-throated Flycatchers. Everyone assumed that Prospect Park would have the save for the borough but, as it turned out, Joe Giunta also recorded one in Owl's Head Park! I guess it was a good year for ash-throateds here in the east. I was with the group covering Floyd Bennett Field, Four Sparrow Marsh and Dead Horse Bay. Participants look towards the Floyd Bennett group to find Eastern Meadowlarks for the borough and we didn't disappoint. This year we flushed up a flock of eight. One regularly occurring species at FBF, Ring-necked Pheasant, was curiously absent but a rare sighting of one in Prospect Park was recorded. I have only been participating for a relatively brief time but recording 6 species of warbler in mid-December seemed unusual to me. Yellow-rumped and Palm Warblers were observed in multiple locations while the other four, Nashville Warbler, Yellow Warbler, Common Yellowthroat and Yellow-breasted Chat, were just single individuals. Two species of owl, barn and short-eared, were recorded with Riis Park getting the Barn Owl save. As expected Steve Walters and his group at Jamaica Bay Wildlife Refuge had the highest species count with 71. Breezy Point came in second with 60 species. Along the coast 2 Red-necked Grebes were observed, both at Bergen Beach. Under wading birds I believe that a Little Blue Heron at JBWR would be considered a CBC rarity. Twenty-eight waterfowl species were tallied with both White-winged Scoter and Surf Scoter identified with certainly. Eighteen scoter sp. were also added to the list. 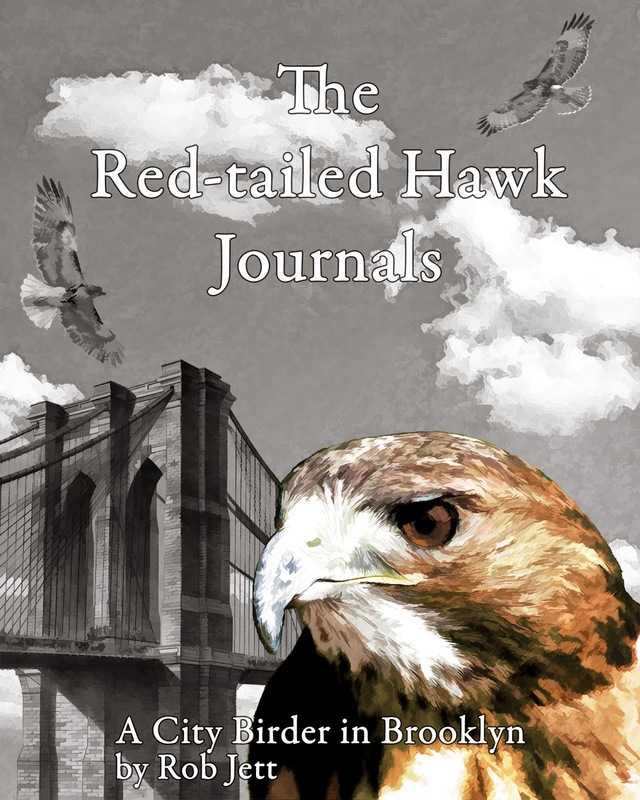 Brooklyn's 15 Red-tailed Hawks were matched in number by Northern Harriers along the coast. A single Red-shouldered Hawk was counted at Owl's Head Park and 2 Rough-legged Hawks were observed by the Jamaica Bay group. In the previous years that I participated at Floyd Bennett Field it seemed like there were Savannah Sparrows all over the place. I don't know if it is significant but this year we only recorded 5. I kept this report short but I hope it was helpful, I know it was to me. I learned that next year I should go to Breezy Point (just kidding). A big thank you to all the Brooklyn participants. I've listed their names at the end of this report. I woke up to a city shrouded in a dense, cool fog. I've never experienced such a surreal landscape in Brooklyn and decided to run up to the park with my camera. Before leaving I received a call from Sean who had the same idea. I also wanted to check on the hawk nests. I had images in my head of one of the large raptors appearing out of the fog like a ghostly apparition. Standing at the edge of the Long Meadow near the Picnic House I could barely make out a group of picnic tables fifty yards away. I spoke to Sean on my cellphone and learned that he was only a short distance from me, next to the upper pool. Two Buffleheads floating on the water looked like bright, white buoys guiding waterfowl into safe harbor. A Great Blue Heron emerged from the fog to our left then quickly vanished in the mist surrounding Quaker Ridge. We wondered where he was headed or even if he knew. Every plant collected the fine mist on their upper surfaces which condensed into crystal clear droplets on their lower surfaces. The dense curtain of water molecules draped over Brooklyn didn't just obscure our vision but also deadened the sounds of the city. Sounds of distant cars, overflying planes, even honking geese seemed to have been shut off. The border between ground and horizon was obscurred like the enchanted reverie of an Yves Tanguy painting. Would "Swamp Thing" be climbing out of the lower pool this morning? We walked up to Payne Hill to check on Big Mama and Split-tail's nest. The nest has noticeably expanded since I last looked so it was obvious that they were somewhere in the area and have been very busy. We circled the north end of the park then headed back towards the Ravine. In the Ravine we watched an adult Red-tailed Hawk fly in from the direction of last year's pine tree nest. It's not easy to get a clear view of that nest but we finally saw the hawk's mate arranging twigs near the top of the conifer. The first hawk flew to another tree and began examining branches and tugging on a few. He finally found one he liked, snapped it off and flew back to the nest with it to his waiting mate. At the edge of Wellhouse Drive, near the Peninsula Meadow, we spotted one of the juvenile Red-tailed Hawks. He was perched low next to a weedy section frequented by sparrows and chipmunks. The hungry hawk made two low passes over the area then flew up to a street light where he perched for a few minutes. We were so close that I could see a small scratch in the silver paint of the light's horizontal support arm made by one of his talons. He sat looking down at us then spotted something to his left on the end of the Peninsula. I watched in my binoculars as he rocketed across the open field then weaved a perfect course through the woods at the far end. He looked like he dove on top of some unsuspecting prey but we found out later that he had missed his mark. In the woods on the Peninsula we also spotted a young Cooper's Hawk perched at the edge of the upper Lullwater. While I was watching he did something very peculiar. He craned his head forward, opened his mouth wide then ejected a pellet. I had read that hawks sometimes do that but never expected that I would have the opportunity to witness it. It was a bit disgusting as he also expelled some nasty looking liquid but it was fascinating, nonetheless. While we were walking around today we noticed that the abundant rain and warm temperatures have spawned a profusion of mushrooms in the park. A pile of rotting logs near the boulder bridge held an interesting selection. Near the Vale of Cashmere an oak tree had a fresh growth of shelf mushrooms growing up its trunk. On the bridle path at the south edge of Lookout Hill we found clusters of black mushrooms pushing up through the leaf litter. I try to identify the fungi that I locate but I've learned that, unlike most birds, using only visual cues for mushrooms is often impossible. One possible sad note is the report of a dead or dying Red-tailed Hawk near the skating rink. Our small group of birders in the park are trying to track it down but are still not convinced that it is accurate. I once had someone report finding the carcass of a dead hawk and when I located it it turned out to be a large, brown rooster. I'm hoping that this story ends similarly. I don't consider myself much of a "bird-chaser". 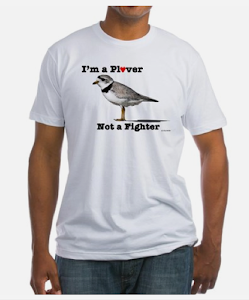 Some birders live to see every rarity that they can, and that's fine, but I'm more of a lazy birder. If there is a rare bird posted online, and it's easy to get to, I might check it out, otherwise I'm content with the expected local flora and fauna. Yesterday was somewhat unusual for me in that I joined my friends Shane and Sean (don't laugh, at least Shale wasn't there) for a full day road trip to chase down some rare birds on Long Island. We were extremely lucky to find what went looking for then continued to the end of the island for a fantastic spectacle of wintering sea ducks. Our target species for the day were a Cackling Goose at Long Beach, a Harris's Sparrow at Baldwin Town Park and a Townsend's Solitaire at East Hampton. We had talked about driving to Ransom Beach to find a Barrow's Goldeneye on the way home but decided that continuing east to Montauk Point would be more fun. We started our day in Brooklyn at 6:30am. Sean is familiar with two out of the three locations so we wouldn't have trouble finding them. The third location, Maidstone Park, is a tiny sliver of park on the bay in East Hampton. It's a long drive from Brooklyn but I kept reassuring Shane (who was driving) that I was feeling lucky and that I was sure we would find all the birds. Baldwin Town Park is on a small peninsula on the south shore of Long Island. It faces Middle Bay and dozens of tiny islands between the mainland and Long Beach Island. It's a typical town park dominated by athletic fields and running paths. The Harris's Sparrow has been staying within a flock of White-throated Sparrows in one of the few areas left wild in the park. We arrived at Baldwin Town Park just before 8am and found three other birders observing the Harris's Sparrow. It was almost too easy. The bird was within a flock of other sparrows that were nervous perching among the bare branches of a small tree. I had never seen Harris's Sparrow before but he was easy to pick out of the flock. He's much larger than the others and has a pink bill. There's some dark spotting on his crown and he sports buffy facial feathers that seem to have a soft, velvety quality. Sean tried to take some photos but the flock began feeding within the tangled underbrush that encircled the area. He gave up and we headed across the bridge to Long Beach Island. Mike, who we ran into at the Baldwin park, offered to show us where the Cackling Goose was last seen. I've been to Long Beach many times but have only been to the eastern end (Point Lookout) to look for birds in Jone's Inlet. Mike led us to the west to Nickerson Beach where a large flock of Canada Goose were resting on a long, narrow stretch of grass parallel to the road. I had read that the Cackling Goose looked like a smaller Canada but wasn't sure just how small. We scanned the flock from the car and Sean quickly located it. I couldn't believe how small it was - it should have been named the "Pigmy Goose" as he could easily fit inside a Canada Goose. Sean snapped off a few photos then we drove to the inlet to scan for seabirds and anything interesting. The gusting northwest wind made it colder than expected so we stayed only briefly then began the 80 mile drive to find a Townsend's Solitaire. Maidstone Park is located on Gardiner's Bay on the north side of the south fork. It's only about 20 acres with a short stretch of beach and a small, wooded ridge that runs east to west. There are numerous cedar trees (juniperus, actually) near the beach and adjacent Three Mile Harbor. The wind was blowing hard off the water so there was no bird life between the bay and the top of the ridge. I decided to check the leeward side of the hill where, within 5 minutes, I found the solitaire perched on the telephone line. I called Sean and Shane on their cells and they joined me at the edge of the road. True to the description in the field guides he was pulling juniper berries from the trees and either eating them on the spot or flying to the telephone line to dine. We had accomplished our goals much faster than expected so Shane suggested that we continue east to Montauk Point. I have never been to Montauk Point at this time of year and wasn't really prepared for what we would encounter. As we approached the seasonal cafe and gift shop I could see large dark patches in the waters off the coastline. Hundreds of gulls were either flying around or resting on the shore below the bluff. The large black mats on the water seemed to be moving and morphing, first into larger shapes, then numerous smaller ones. What, from a distance, appeared to be expansive patches of seaweed were actually ducks. There were Surf Scoters, White-winged Scoters and Black Scoters by the thousands. Scattered white spots among the flocks were Common Eiders. Looking a bit like flying black-and-white footballs, pairs of Razorbills zipped back and forth above the scoters. A short distance from the shore small groups of Harbor Seals patrolled the water. 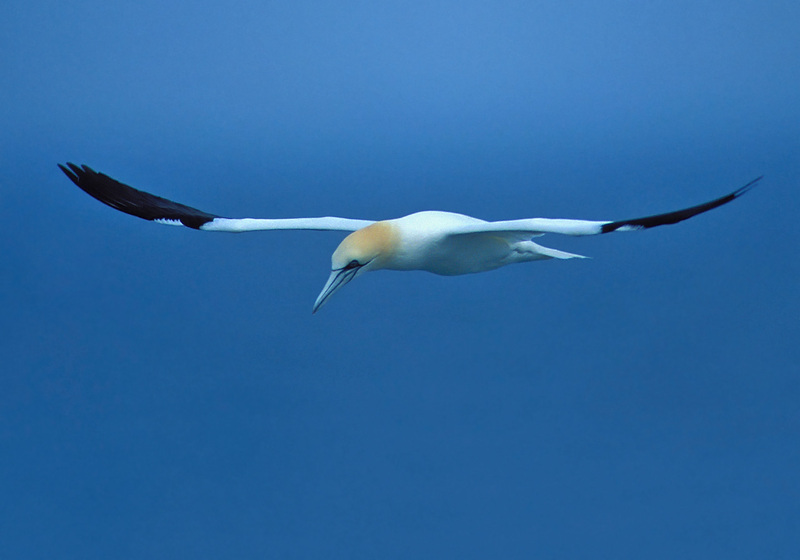 About forty minutes into our observations we began to see Northern Gannets flying in from the west. At first there were only a few but as the afternoon progressed we started to see more of the long winged birds soaring several hundred yards offshore. We walked down to the beach and around the curved shoreline below the lighthouse. A flock of Purple Sandpipers were spooked and flew farther down the beach. I sat down on a boulder, put down my binoculars and just watched the big picture. The rafts of sea ducks drifted east with the current. When they got to a certain point they would all lift off, fly west, reform the close knit flocks and restart their short journey. While we were scanning the eiders Sean located both a male and female King Eider. It was good to be able to compare the similar female Common and King Eiders. As the sun descended towards the horizon we packed up our gear and headed back to Brooklyn. It was an exhausting but exhilarating day that ended with four new species under my belt. It motivated me to learn more about these special birds. Greetings! This is the New York RBA for Friday, January 7th at 4 p.m. The highlights of today's tape are BOREAL OWL, TOWNSEND'S SOLITAIRE, HARRIS'S SPARROW, COMMON MURRE and DOVEKIE, CACKLING and GREATER WHITE-FRONTED GOOSE, BARROW'S GOLDENEYE, BLACK-HEADED GULL, and more. The BOREAL OWL continues in Central Park in the vicinity of Tavern on the Green Restaurant, though it has shifted locations a couple of times recently and was actually undetected for a while following the New Year's Eve fireworks. The restaurant is located just inside the park from the West 67th Street and Central Park West intersection. Please do nothing to disturb the roosting bird. Also Central there was a PINE WARBLER in the Pinetum Wednesday and PINE SISKIN at the Ramble feeders Thursday. The Southern Nassau CBC last Sunday recorded 129 species; highlights included a CACKLING GOOSE at Point Lookout, two WOOD DUCKS, a EURASIAN WIGEON, three HARLEQUIN DUCKS at Point Lookout, AMERICAN BITTERN, a NORTHERN GOSHAWK and five PEREGRINE FALCONS, SEMIPALMATED PLOVER, 22 AMERICAN OYSTERCATCHERS, two WILLETS, a LONG-BILLED DOWITCHER at Massapequa Preserve, a BLACK-HEADED GULL in Jones Inlet, two ICELAND GULLS at Jones Beach, two GLAUCOUS GULLS in Hempstead, 24 RAZORBILLS, a COMMON MURRE well inside Jones Inlet just west of the Meadowbrook Bridge, a SHORT-EARED OWL, three TREE SWALLOWS, COMMON YELLOWTHROAT, SEASIDE SPARROW, an immature GAMBEL'S form of WHITE-CROWNED SPARROW, and an immature HARRIS'S SPARROW in the same sparrow flock at Baldwin Town Park, and two LAPLAND LONGSPURS at Jones Beach West End. The HARRIS'S SPARROW was still present at Baldwin Town Park today, travelling in a large flock of mostly WHITE-THROATED SPARROWS. To reach the site from the Southern State Park or 27A/Merrick Road, about 2 miles west of the Meadowbrook Parkway, take Grand Avenue south to its end at the park. Continue into the park and look for a parking lot on the right bordering a field that has two soccer cages lying side by side in its southwestern corner. A path through the brushy area along the shore begins by the soccer cages and winds back to the parking lot. The flock has been roaming through the area but can be difficult to locate, and it takes patience to get a glimpse of the HARRIS'S. 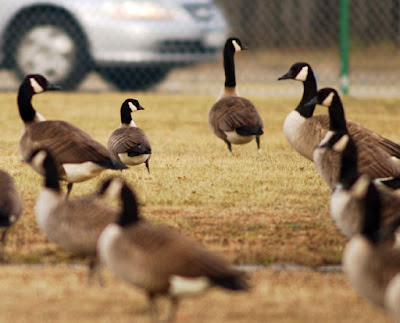 Recently split by the AOU from CANADA GOOSE, the CACKLING GOOSE, a RICHARDSON'S form, has been seen with CANADAS on lawns at the beach parks along the south side of Lido Boulevard, just west of the Loop Causeway. It was seen at both the Hempstead Town Park and Nickerson Beach recently. The TOWNSEND'S SOLITAIRE was still at Maidstone Park in Springs north of East Hampton at least to Sunday. [Transcriber's note: the SOLITAIRE was seen here again on Friday, Jan. 7th.] To reach this site, follow Three Mile Harbor road north for about four miles to Flaggy Hole Road (hard to see). Go left on Flaggy Hole and then left on Maidstone Park Road. This one-way park road runs along the beach at Gardiners Bay, makes a U-turn in a wide parking area when you get to the inlet to Three Mile Harbor, and continues around to the entrance. The SOLITAIRE favors the junipers near the two parking lots along the bay or the stretch after the big parking area at the inlet up to the first brown house. Three RAZORBILLS have been offshore in the sound there, with a RED-NECKED GREBE Sunday. At Hook Pond in East Hampton, a GREATER WHITE-FRONTED GOOSE was present last Saturday and Sunday, on the pond or on adjacent lawns. A SNOWY OWL has been present recently at Shinnecock Inlet, where it has been viewed from the west side of the inlet as it sits along the inner jetty and rocks on the east side across the inlet. The drake BARROW'S GOLDENEYE continues off Ransom Beach west of Bayville, and a drake HARLEQUIN DUCK has once again also been present there. To reach this site, from Bayville go west on Bayville Avenue just over a mile to the beach parking lot and scan the offshore GOLDENEYE flocks for the BARROW'S. In that area a RAZORBILL was off Fox Point in Lattingtown on Monday and a RED-NECKED GREBE back on the 30th. A Christmas Count pelagic trip from Belmar, NJ December 31st, partially into New York waters, recorded many BLACK-LEGGED KITTIWAKES and RAZORBILL plus a NORTHERN FULMAR, an ICELAND GULL, and nine DOVEKIES. The Orient CBC on the 1st recorded 111 species, including three RED-NECKED GREBES, HARLEQUIN DUCK, BALD EAGLE, ROUGH-LEGGED HAWK, LESSER BLACK-BACKED GULL, 20+ RAZORBILLS, RED-HEADED WOODPECKER, EASTERN PHOEBE, and MARSH WREN. At Montauk Point there were BLACK-LEGGED KITTIWAKE and KING EIDER last Saturday, and up to 100 RAZORBILLS and 2000 COMMON EIDER have been estimated there. RED-NECKED GREBES were at Fort Pond Bay and the Montauk Harbor mouth on Sunday. Three HARLEQUIN DUCKS continue at Ditch Plains Saturday, and five RED-HEADED WOODPECKERS continue at Barcelona Neck in Sag Harbor. Reports from Riis Park and the Rockaways Thursday afternoon mentioned a RAZORBILL, ICELAND and LESSER BLACK-BACKED GULLS, RED-NECKED GREBE, SHORT-EARED OWL, a TREE SWALLOW, and a COMMON REDPOLL. To phone in reports, on Long Island call Tony Lauro at 631-734-4126, or on weekdays call Tom Burke at 212-297-4804. This service is sponsored by the Linnaean Society of New York, www.linnaeansociety.org, and the National Audubon Society. Today's weather was a 180 degree shift from yesterday. Winter seems to have returned with dropping temperatures and a threatening white sky. Rain was forecast but it felt more like snow was on the way. I wanted to try and locate Big Mama and Split-tail. On sunless, calm, cool days I can usually find them hunting from a perch in the woods. I started at the Vale of Cashmere and zigzagged through the woods there, as well as, the north zoo, Battle Pass, Sullivan Hill and Payne Hill. When on Sullivan Hill I spotted Big Mama flying in from the north. She landed above me in a large oak tree. As usual, she appeared to ignore me as she tipped her head down and searched the ground for a meal. I leaned up against a large boulder and quietly watched. After a few minutes of scanning for rodents she took off and flew a short distance to a spindly branch in a locust tree. The thin branch bobbed up and down and swayed from side to side. It looked peculiar as her internal gyroscope keep her head locked in one position as her body traveled with the branch. A couple on the footpath with a small video camera spotted her and excitedly rolled tape. Split-tail flew out of the woods on Battle Pass and passed right above them as he flew north. They didn't notice him. I waved them over. I'm always willing to share my passion with others and they seemed genuinely interested. They explained that they were out with their new Christmas present shooting some footage of the park. I don't think they expected such interesting material. Big Mama took off flying in the direction of the Midwood. She ascended above the treetops and was joined by her mate. They circled above us for a few minutes then Big Mama dropped down towards Payne Hill and landed in their nest atop the large tuliptree. Split-tail descended and landed in a tree a few yards west of the nest. He began examining branches, snapping a few off, then settling on a fairly small one. He carried it to his mate who was standing on their nest. I was so excited that I kept repeating to the couple how much I was hoping to witness the hawks collecting branches. Big Mama left the nest and began looking for nest material herself. When we parted company, Tess remarked that she and her husband (I can't remember his name) would surely see me again. I think I may have gotten two more people hooked. Today was the warmest first day of the year since I began keeping a journal. The mild, windless day approached 60 degrees. Last week's brief cold snap seemed to have either starved the park's lingering warblers and Ash-throated Flycatchers or forced them to move on to more productive habitats. I hope they survive. Prospect Lake still has enough ice that thousands of gulls have been attracted to the park. The vast majority of birds are Ring-billed Gulls. 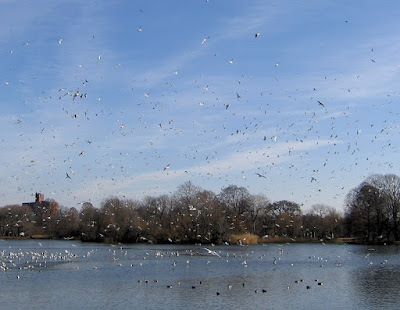 A sudden liftoff of most of the gulls looked like a tornado moving over the lake. I scanned the sky for hawks or falcons but it was difficult to locate anything through the mass of black, white and gray. I ran into Peter and we stood at the edge of the lake scanning for unusual gulls, reminiscing the previous year's birds and optimistically planning for the new year. On my way out of the park I heard the high-pitched whinning of several Cedar Waxwings. 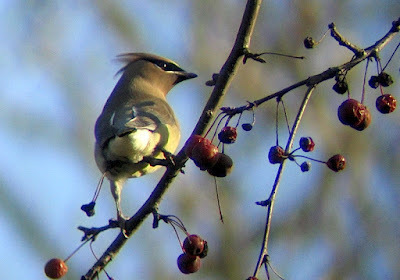 A flock of nine were feeding on the red berries in a small tree next to the 5th Street entrance. They stayed just long enough for me to take a couple of photos then flew out of the park in a northwestern direction.